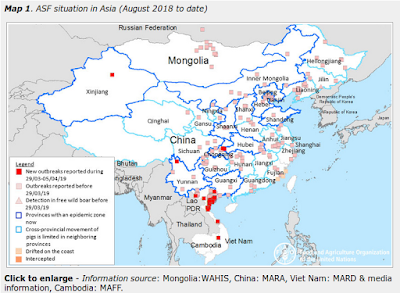 Avian Flu Diary: A Follow Up Report On Cholera In The C.A.R. 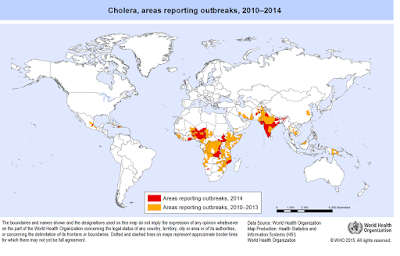 A Follow Up Report On Cholera In The C.A.R. Last week in An Unusual Outbreak Report From The C.A.R. we saw reports of between 12 and 20 deaths occurring over the previous 72 hours, all suffering from acute yellow diarrhea, fever, and vomiting. In the days that followed we saw confused and contradictory reports of A) a flu epidemic B) Ebola or other hemorrhagic disease C) Cholera (see FluTrackers thread). 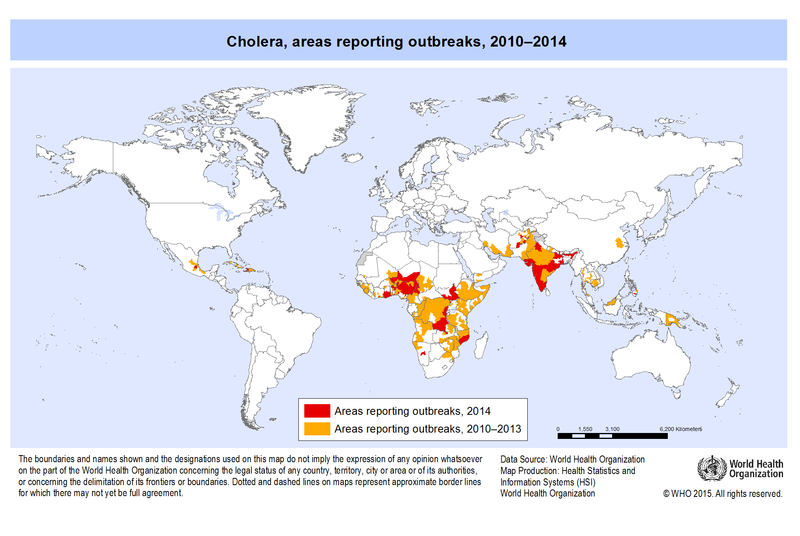 Over the past 24-36 hours reports have zeroed in on Cholera, which frequently flares up in Central Africa (see WHO map below). This (translated) report from the VOA. The news was announced by the Central Minister of Health, Public Health and Population, during a press briefing Wednesday. Fernande Ndjengbot took stock of the situation with reference to laboratory results from the Pasteur Institute of Bangui. Among the 19 cases detected in July in Ndjoukou prefecture of Kemo, there have been eight deaths. 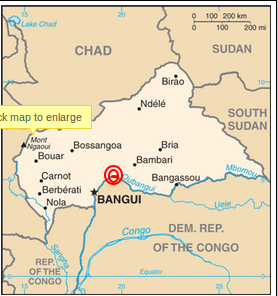 August 7, new cases were reported in Ombella-Mpoko, then another in the capital, Bangui. The Central health authorities have appealed to the population urging him to observe various hygiene measures to protect themselves from cholera.